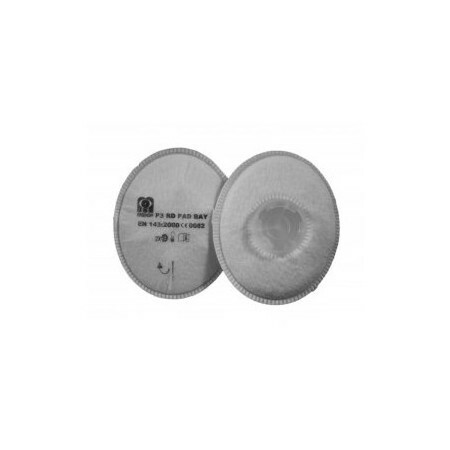 Filter for respiratoy protection - Extertronic, S.L. 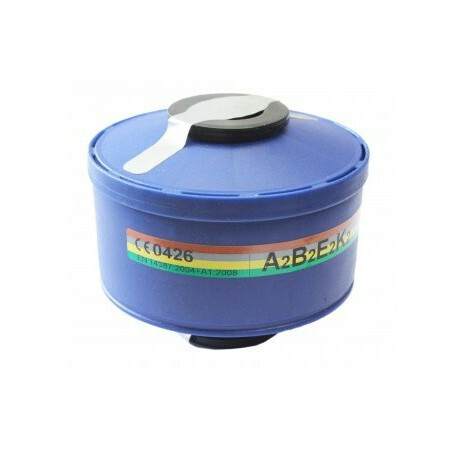 Filters for dust, paint, chemicals, gases, organic and inorganic vapors, radioactive iodine. mist and smoke. Filter There are 36 products. 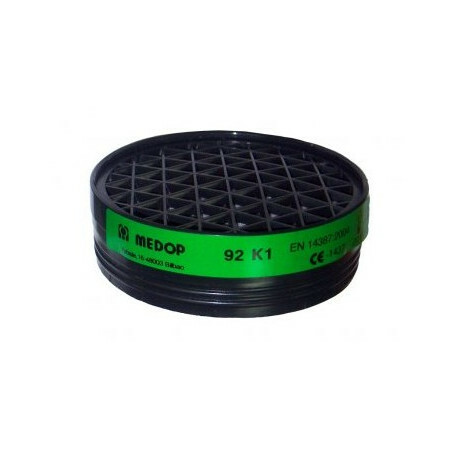 -This filter is made of high strength materials that do not produce harmful effects on the health and hygiene of the user.-It is designed to provide excellent protection against: Organic gases and vapors with a boiling point above 65 ° C.-This filter can be used with all Medop mouthpiece with bayonet connection. 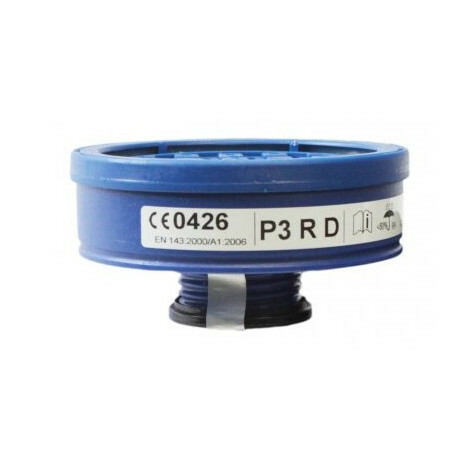 -This filter is made of high strength materials that do not cause harmful effects on the health and hygiene of user.-It is designed to provide excellent protection against:Solid and liquid particles such as powders, fumes, aerosols ...-This filter can be used with all Medopa buconasals with threaded connection. -Standard and Certification: EN 14387 CE-Applications: Solvents, manure handling. Do not use in atmospheres with a lower content to 17% oxygen by volume, or in explosive atmospheres. -Standard and Certification: EN 14387 CE-Applications: Solvents, ammonia, manure handling. Do not use in atmospheres with less than 17% oxygen by volume, or explosive atmospheres. 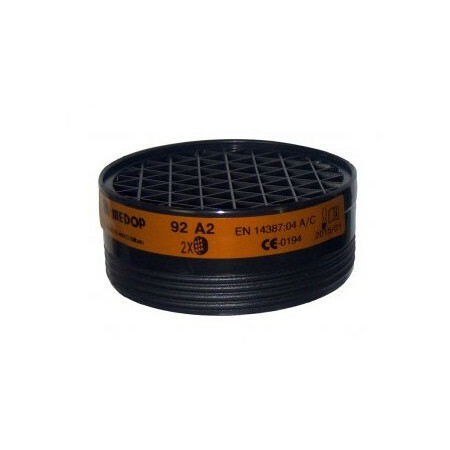 -This filter is made of high strength materials that do not cause harmful effects on the health and hygiene of user.-It is designed to provide excellent protection against: Ammonia and ammonia derivatives.-This filter can be used with all Medopa buconasals with bayonet connection. 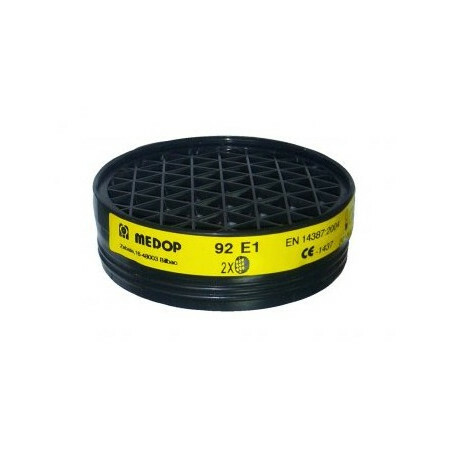 -This filter is made of high strength materials that do not cause harmful effects on the health and hygiene of the user.-It is designed to provide excellent protection against: Sulfur dioxide and other acid gases and vapors.-This filter can be used with all Medop mouthpiece with bayonet connection. -This filter is made of high strength materialsThat do not cause harmful effects on the health and hygiene of user.-It is designed to provide excellent protection against: Inorganic gases and vapors.-This filter can be used with all Medop mouthpiece with bayonet connection. 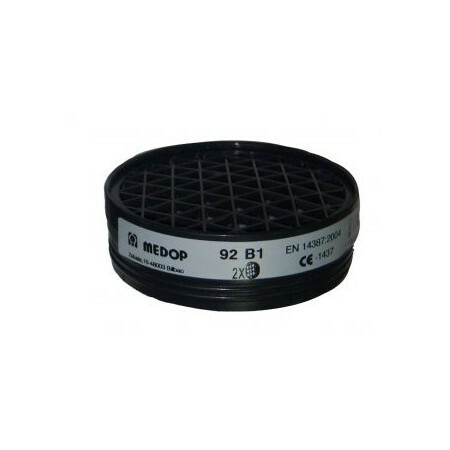 -This filter is made of high strength materials that do not cause harmful effects on the health and hygiene of the user.-It is designed to provide excellent protection against: Inorganic gases and vapors and Organic gases and vapors with Boiling point above 65 ° C.-This filter can be used with all Medop mouthpiece with bayonet connection. 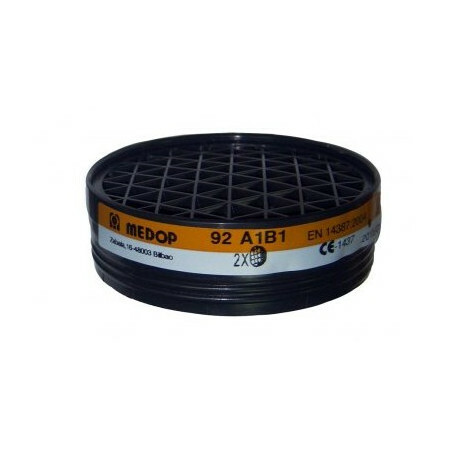 It is designed to provide excellent protection against: Solid and liquid particles such as dust, fumes, aerosols ...This filter can be used with all Medop mouthpieces with threaded connection. 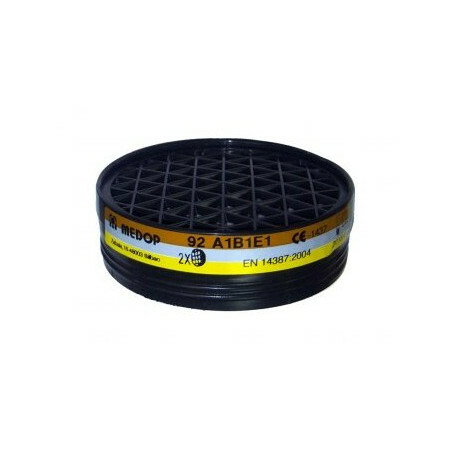 - This filteris designed to provide excellent protection against: Organic gases and vapors with a boiling point above 65 ° C.-This filter can be used with all Medop mouthpiece with threaded connection.-Maximum level of use: Filter Gases and Vapors: Level of use 2: Limit value 5000 ppm; 0.5% vol.-Weight: 78.6gr. 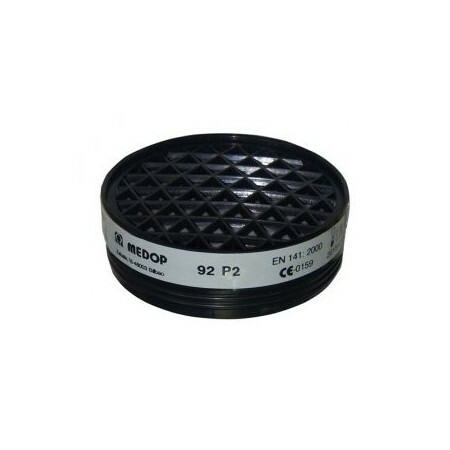 -It is designed to provide excellent protection against: Inorganic gases and vapors and Organic gases and vapors with boiling point above 65 ° C.-This filter can be used with all Medop mouthpiece with threaded connection.-Great level of use: Filter Gases and Vapors: Level of use 1: Limit value 1000 ppm; 0.1% vol.-Weight: 94gr. 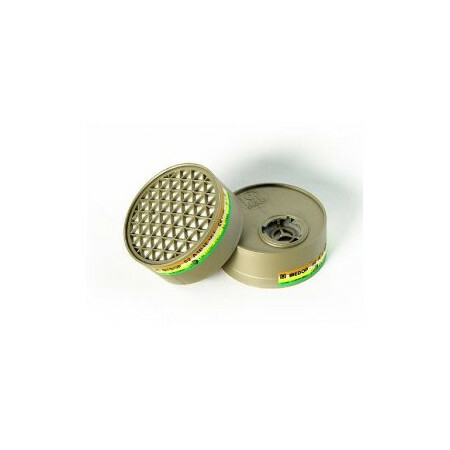 This filter is made of high strength materials that do not cause harmful effects on the health and hygiene of user.It is designed to provide excellent protection against:Inorganic gases and vapors.This filter can be used with all Medopa buconasals with threaded connection. 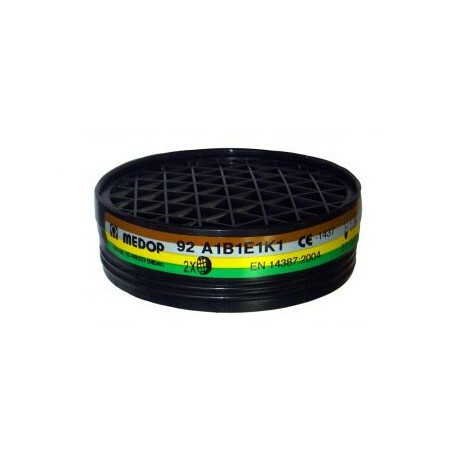 This filter is made of high strength materials that do not cause harmful effects on the health and hygiene of user.It is designed to provide excellent protection against:Ammonia and ammonia derivatives.This filter can be used with all Medop buconasals with threaded connection. This filter is made of high strength materials that do not cause harmful effects on the health and hygiene of user.It is designed to provide excellent protection against:Sulfur dioxide and other acid gases and vapors.This filter can be used with all Medopa buconasals with threaded connection. 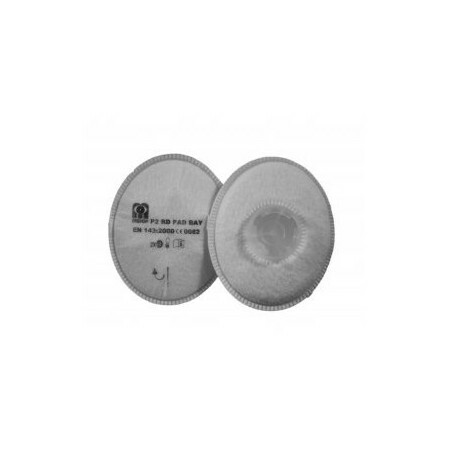 Designed to provide excellent protection against: Inorganic gases and vapors, Organic gases and vapors with a boiling point above 65 ° C, Sulfur dioxide and other acid gases and vapors and Ammonia and ammonia derivatives.Reusable filter: can be used for more than one working day.This filter can be used with all Medop masks with universal screw connection.